Abu Dhabi: The UAE’s 47th National Day will be celebrated in spectacular fashion on December 2, with stunning visual displays, live musical shows, and at least 1,500 performers set to entertain a crowd of over 22,000 people at the Zayed Sports City Stadium in Abu Dhabi — the venue for this year’s official celebration. “In this Year of Zayed, we commemorate a hundred years since his birth, alongside recognising his legacy as a visionary leader. 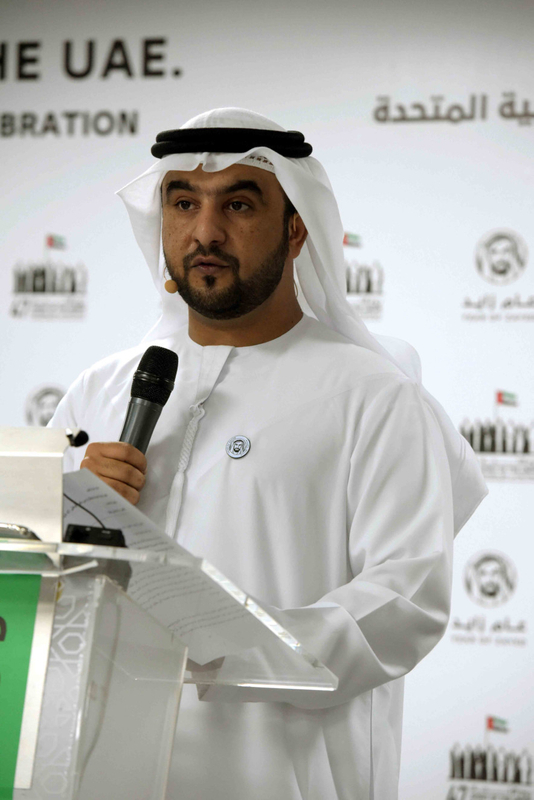 Throughout these celebrations, we aim to instill his memory and his vision within the hearts of all,” said Abdullah Al Qubaisi, member of the Official UAE 47th National Day Celebration Organising Committee during a press briefing on Monday. “Over 22,000 people will witness a celebration which takes them through a journey of the UAE’s history. They will visit the life of Shaikh Zayed as a young man, who was a leader with a brilliant vision, a love of life, and a strong will to change the nation around him,” he added, explaining how the live show will be a story of the late Shaikh Zayed and the progress of the UAE over the last 47 years. Highlighting some of the main themes of the show, Al Qubaisi said they would highlight Shaikh Zayed’s role towards conservation and his work in upgrading the country’s health and education services. “The celebrations will also highlight Shaikh Zayed’s love for nature and how he sought to protect such beauty for future generations. “The celebrations will show how Shaikh Zayed looked to provide the people of the UAE with world class health care and education. These are milestones which Shaikh Zayed looked to achieve for the benefit of all the nation,” he added. “The celebration will also pay tribute to the foundation of the union at Saih As Sidirah, when Shaikh Zayed Bin Sultan Al Nahyan forged a new path for the future of the seven emirates of the UAE with Shaikh Rashid Bin Saeed Al Maktoum. This historic meeting laid the foundation for the nation that we love today,” Al Qubaisi said. Commenting on the 1,500 performers, Al Qubaisi said that 70 per cent of them are made up of Emiratis. “Including 1,500 male and female performers — 70 per cent of which are Emirati — the celebration will use a stage built of 20,900 pixels which required over 4,200 scaffolds to develop. “Alongside the incredible visual displays, the event will also include live musical performances from the Royal Philharmonic Orchestra, alongside 150 Emirati musicians, with poems and music which have been specifically written for the celebration. Al Qubaisi also said that over 200 nationalities will be present during the live shows. “Our audience consists of Emiratis, residents and visitors who will represent over 200 nationalities. Together, we will celebrate the international status of the historic union of 47 years ago.